There are no comments for Quiettime At The Lake. Click here to post the first comment. 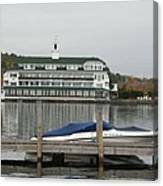 Coypright: Christiane Schulze Lake Winnipesaukee is the largest lake in the U.S. state of New Hampshire. 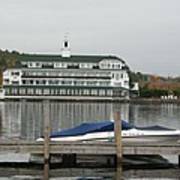 It is approximately 21 miles (34 km) long (northwest-southeast) and from 1 to 9 miles (1.6 to 14.5 km) wide (northeast-southwest), covering 69 square miles (179 km2)71 square miles (184 km2) when Paugus Bay is included with a maximum depth of 212 feet (65 m). 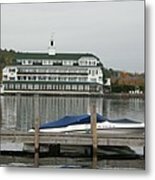 The lake contains at least 253 islands, half of which are less than a quarter-acre in size, and is indented by several peninsulas, yielding a total shoreline of approximately 288 miles (463 km). The driving distance around the lake is 63 miles (101 km). It is 504 feet (154 m) above sea level. 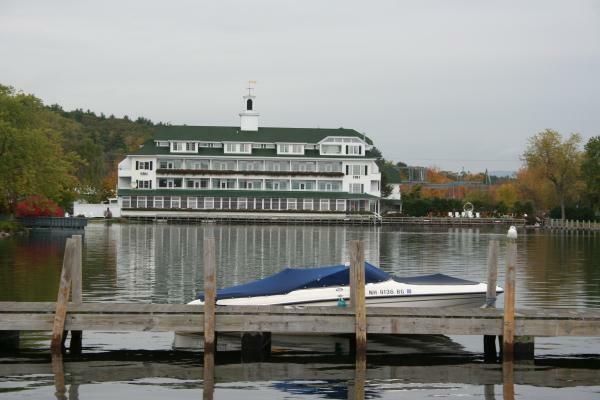 Winnipesaukee is the third-largest lake in New England after Lake Champlain and Moosehead Lake.